Can a TFSA be invested in a life annuity or other lifetime income products? Can a TFSA be invested in a life annuity? Brian has been told that he can’t. What are his options? Q: I read on an insurance broker’s blog it’s possible to have an annuity within a TFSA so the payout would happen within the TFSA, and I’ve been trying to have that set up for months. I contacted eight insurance companies, and they all said it’s not possible. Instead, they suggest their lifetime income products such as Guaranteed Investment Funds (GIFs) so I’m confused. Can you have an annuity within a TFSA or not? And if so, how and where can it be done? A: Brian, the simple answer is that you can’t do it. There are no life insurance companies that will allow you to hold a life annuity inside a TFSA. You can, however, hold a variable annuity (a GIF is one example) inside a TFSA and maybe this what is causing the confusion? I haven’t had this question before. What are you thinking of doing? Perhaps to create your own guaranteed tax-free pension by combining a TFSA and a life annuity? Sounds like a good idea. I’m sure you have heard the arguments against life annuities (that we’re now in a low-interest rate environment, if you die early the insurance company wins, etc..), and discounted them because an annuity works for you. Even though you can’t do it, let’s work through it a little. How much tax are you going to save? You haven’t given me much to go on so I’ll assume you’re a 65-year-old male with a $100,000 TFSA, which has done really well. If you draw that amount from your TFSA and purchase a prescribed annuity with Sun Life, say, it would pay you $6,381/yr. for life and $1,253 of that would be taxable. So the tax owing would be $250 at a 20% marginal tax rate or $375 at a 30% marginal tax rate. Not a lot of tax but it could have a small impact on GIS, OAS, or some other benefits or credits. What if you purchase the GIF as the insurance companies have suggested? The Sun Life GIF would pay you $4,221/year and because it is in the TFSA it’s all tax-free. On your death, whatever money is left in the GIF will pass to your beneficiaries. 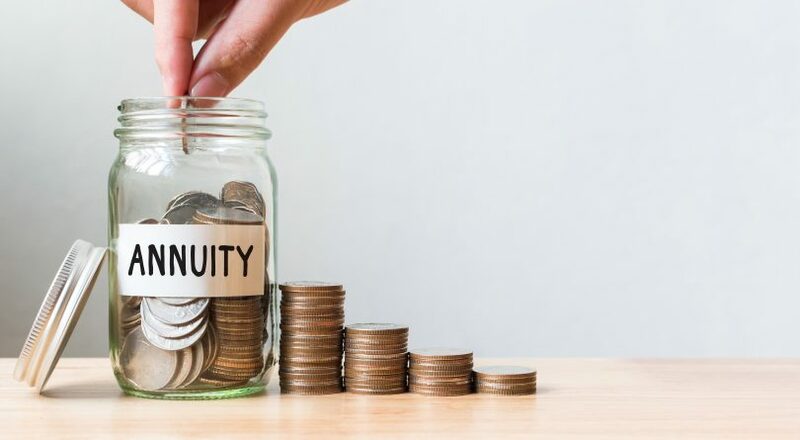 If you are not concerned about leaving an estate, or you have other estate-friendly assets, such as your home or a permanent life insurance policy, then the life annuity will give you a higher guaranteed lifetime income. With an annuity in the TFSA, you’d be making constant withdrawals so you could add that money back into your TFSA the following year, and put it into something other than an annuity. This will create a flexible TFSA and allow you to use it for estate purposes or to purchase another annuity later in life. It’s too bad you can’t put a life annuity into a TFSA. It is an interesting concept, but not doable. Allan Norman is a Certified Financial Planner (CFP) with Atlantis Financial Inc. and an Investment Advisor (CIM) with Aligned Capital Partners Inc.
(This commentary is provided as a general source of information and is intended for Canadian residents only. Allan offers financial planning and insurance services through Atlantis Financial Inc. and securities-related investment advice through Aligned Capital Partners (ACPI). The views and opinions expressed are those of the author and may not reflect those of (ACPI).